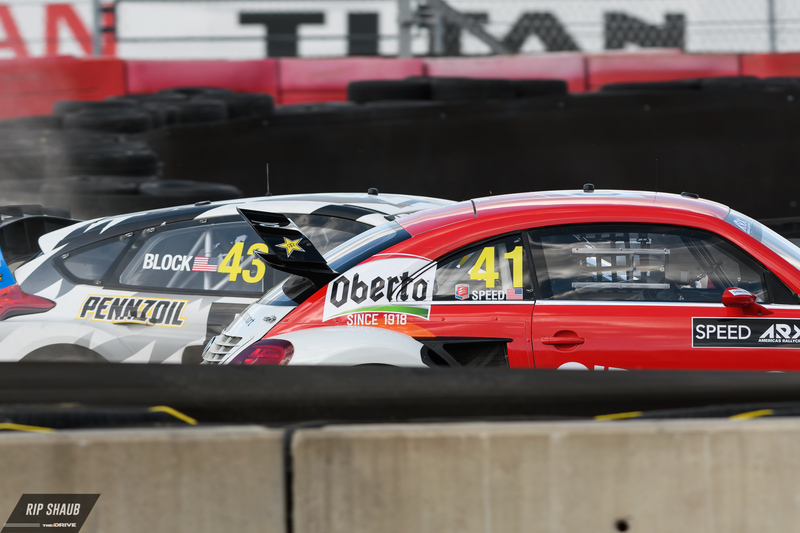 The second round of the Americas Rallycross series found the drivers in Austin, Texas for the Dirtfish ARX of COTA. Block trails Speed through the jumps. When being interviewed during one of the semi-final heats, Speed mentioned Block by saying, "that guy is always running into someone." In the post-race interview, a reporter referred to the final round as easy for Speed to which he responded: "That was not easy, I had to brake 50 meters before the first two corners because I was getting plowed in the back by the 43." He was, of course, referring to Block's No. 43 Hoonigan Ford. Former Subaru rallycross driver and skateboard legend Bucky Lasek, who was commentating, responded with "Scott, tell us how you really feel." Block got his word in, though. Being arguably the king of burnouts and donuts, during his post-race interview, Block responded to the applause for his celebratory spins in the infield by saying, "Scott was doing some pathetic donuts, so I had to show the fans what it is really all about." A hysterically laughing Lasek then commented "Hey, Ken! you should tell us how you really feel," after saying the same thing about Speed. Tanner Foust now sits second in the points standings after his win at Silverstone and a podium finish at COTA. Speed's Andretti Autosport teammate Tanner Foust grabbed the third and final spot on the podium at day's end. Block sliding through the turns at the freshly-christened infield rally circuit. 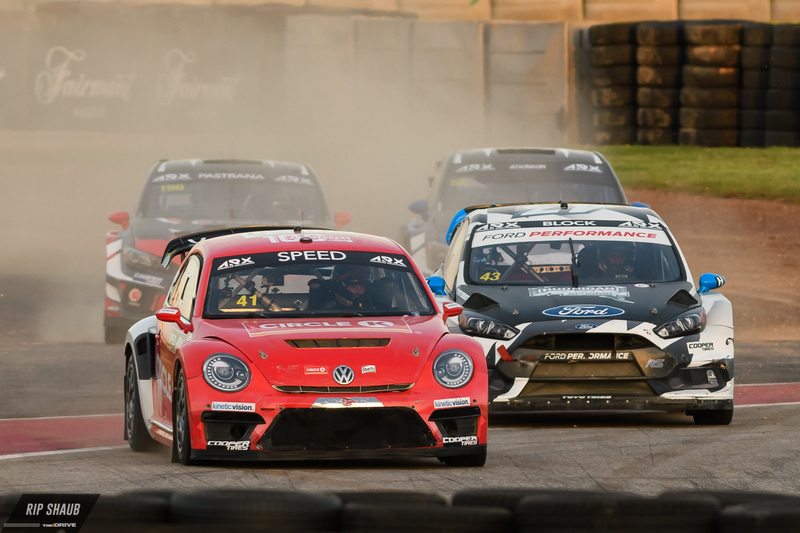 Something may be happening to the Red Bull Global Rallycross series. All 12 rounds of the 2018 season have been deleted.